Dog lovers get ready – Jeffrey Moussaieff Masson, international bestselling author of Dogs Never Lie About Love (which the San Francisco Chronicle calls "winning and wise," and "a charming paean to our best friends"), is back with an inspiring, heart-warming, and deeply personal exploration of the unique relationship between humans and dogs. As in When Elephants Weep, The Face on Your Plate, an The Pig Who Sang to the Moon, Masson blends cultural mythology, scientific research, and stories of his own experiences to tackle deep questions about the emotional lives of humans and animals. 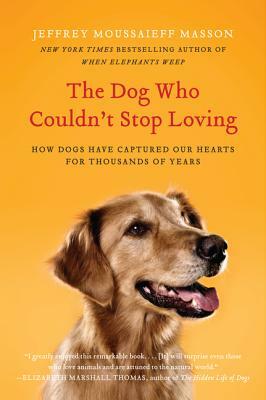 His compelling, elegant, and often humorous narrative about the love people feel for dogs (perfect for fans of John Grogan's Marley & Me) gives a new perspective on the extraordinary relationship between our species.